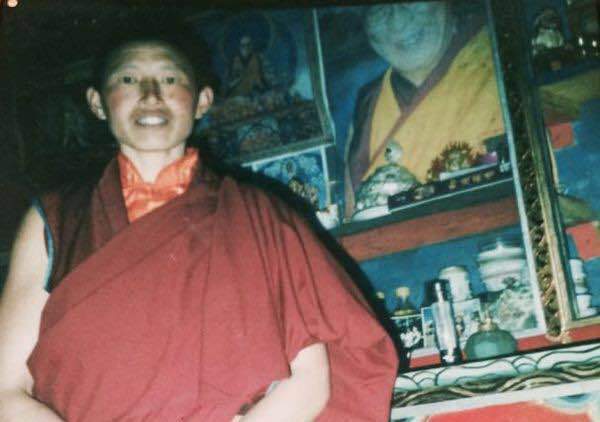 (TibetanReview.net, Apr12, 2015) – A 47-year-old Tibetan Buddhist nun is believed to have died after she set herself on fire in Karze (Chinese: Ganzi) county-town, Sichuan Province, on Apr 8 in protest against Chinese rule. Yeshe Khando, of Chogri Ngangang Nunnery from neighbouring Draggo ( Luhuo) County, was reported to have shouted prayers wishing long-life for Tibet’s exiled spiritual leader, the Dalai Lama, and called for his return home. She had also called for freedom for Tibetan people and unity among them as she burned and collapsed to the ground. The incident was reports to have occurred at around 09:00 am near the local police station and detention centre which were both close to Karze Monastery. She completed a circumambulation of the Karze Monastery before setting herself on fire, Radio Free Asia (Washington) Apr 10 quoted a local source as saying. Chinese police arrived on the scene shortly later and took her away. Although she was reported to have burned intensely, it was not clear whether she actually died. The police were reported to have summoned the nun’s family the next day to tell them she had died while refusing to hand over her body to them. Yeshe Khando is the 138th Tibetan to have self-immolated in Chinese ruled Tibet since Feb 2009.